Mesa AZ Auto Air Conditioning Repair – Because It’s Hot Out There! Your vehicle’s air conditioning system removes the heat from air inside your vehicle and transfers it to the outside air. The wonderful result is cooler, more comfortable air. The system relies on key components including a compressor, a condenser, an evaporator, pressurized refrigerant, valves and hoses — all controlled electronically. To properly work, the system must have no leaks that might allow the refrigerant to escape. A/C systems are resistant to leaks and contamination, but they are not leak-proof. Over time, contamination or leaks can adversely affect cooling. 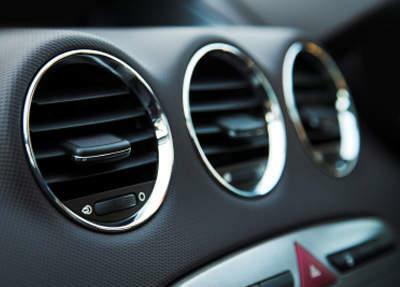 To keep your vehicle cool, we recommend having your A/C system checked at the beginning of the warm season. It is important to note that some refrigerants used in automotive A/C systems are considered harmful to the environment.